There have been a number of people in history who have, well, remixed the South African national anthem, shall we say. And the latest to join this infamous list is Afrikaans pop star Kurt Darren. Performing Nkosi Sikelel’ iAfrika in Stellenbosch at the Varsity Cup final on Monday, Darren made it past much of the first verse, but sort of forgot the rest of the second verse. Instead of following “Morena boloka setjhaba sa heso” with “O fedise dintwa la matshwenyeh”, Darren went straight back to “Yizwa imithandazo, yethu”. Sure, it’s not an error non-South Africans will notice, but lucky (or unlucky for Darren) enough there are a boat load of us on social media. “Kurt Darren thoroughly mangled our national anthem,” one user wrote. What’s more telling about the Kurt Darren situation is how he was basically singing on his own until Die Stem began — then suddenly the crowd joined in (loudly). Were spectators quietly reflecting during Nkosi Sikelela/Morena Boloka? 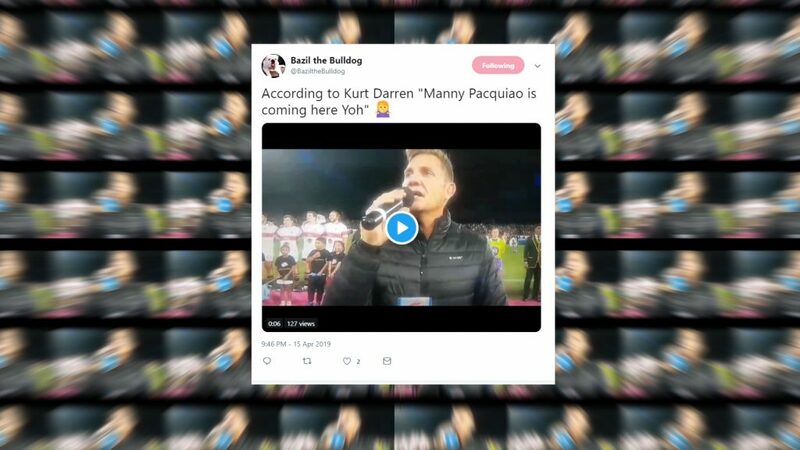 Kurt Darren thoroughly mangled our national anthem…..
Others were deeply serious about South Africans’ awareness of the anthem itself. Either way, Darren and the Varsity Cup final between Maties and Tuks were both trending terms on Monday evening on Twitter, probably in part to Darren’s questionable performance. Maties’ performance however was far from questionable. The Stellenbosch team took home its fifth Varsity Cup trophy in a 34-12 win against University of Pretoria Tuks.